Over a decade of experience. Berg Adventures has been operating expeditions around the world since it was founded in 2001. Our Founding Director Wally Berg has been organizing and leading expeditions around the world since the 1980s. Finest accommodations. We stay in a beautiful hotel in the heart of Istanbul so that we are within walking distance of the city’s best attractions. In Cappadocia we stay in a truly unique, world-class hotel that is carved into the landscape. On the mountain we strive to make our camps spacious and comfortable. The ruins of Cappadocia from the patio of our hotel, Argos. Passion for cultural learning and exchange. Turkey is a diverse place. 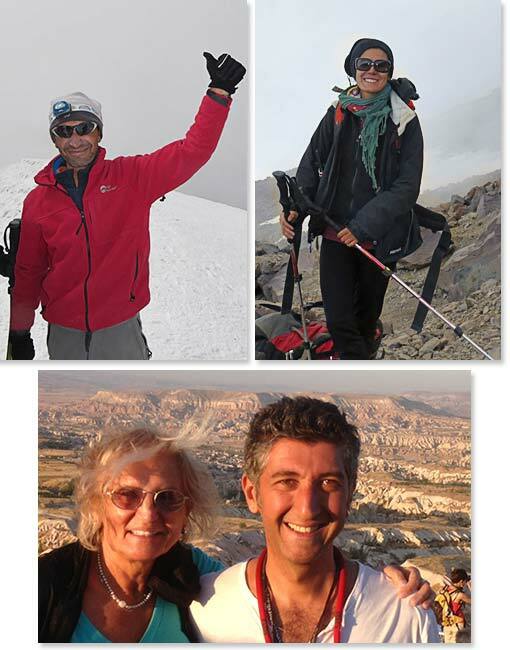 From one of the world’s most cosmopolitan urban centers, Istanbul, to central Anatolia, to the Kurdish culture of eastern Turkey, with Berg Adventures you will get to know the people of Turkey. High-altitude experience and emergency equipment. 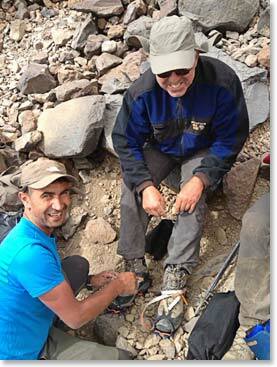 We carry full expedition medical kits and pulse-oximeters on Mount Ararat. Most importantly, our staff of seasoned guides knows how to use this vital equipment. We also carry satellite phones and radios, and are in contact with our office every day. Excellent food and private cooking staff. 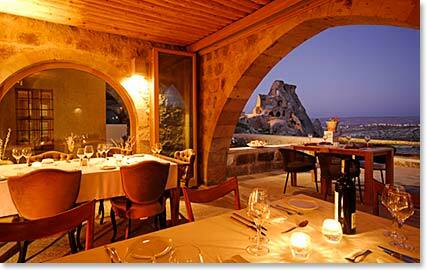 While staying in Istanbul and Cappadocia we are always excited to try the famous Turkish cuisines. Each Berg Adventures Ararat expedition team includes a skilled cook to ensure the quality and variety of our meals while on the mountain. At every meal and snack we provide an array of fresh foods to keep appetites strong. We are happy to cater to your dietary needs. Top right: There is always a great selection of snacks to choose from on the mountain; Left: We are always eager to try the unique Turkish cuisine; Bottom right: We will not only try the Turkish delicacies, like Baklava, but we will learn how to make it! Communication. Each day our expedition team reports back to the head office with an update on the day’s activities. These daily reports are posted on our website along with photos so that friends and family can follow along as you climb. We also ensure that family can reach you in case of an emergency and we have a 24-hour on-call line for this purpose. Our staff are our family. We treat guides and support staff like family. Trip training and gear outfitting. We provide training tips and services to help you get in shape. We will also assist you with finding the right gear. You can rent high quality gear directly from Berg Adventures and if we are unable to rent you what you need, we can help you find it. Gear purchasing services are also available. 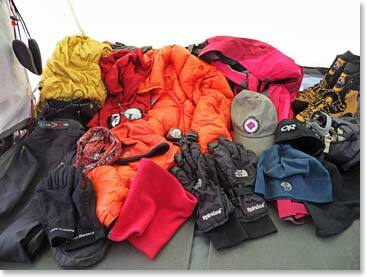 Our support staff are always happy to help climbers prepare their gear. We are always ready to answer the questions you may have. We know Turkey and we can help you customize extensions and additional travel with our Berg Adventures guides. Ephesus and Pamukkale are examples of where our BAI client’s travelled with us in 2013. Don’t take our word for it! Refer to the client testimonials here to see how much people love climbing with Berg Adventures. You can also read about past expeditions in our archived dispatches.